This customer required a large warehouse approx 4,700m2 in size to be racked in the most efficient way possible. The client had a number of criterion which needed be considered when designing the racking. One example of this criteria was that the existing fleet of fork lift trucks were to be used and another was that the company had a vast range of pallet types to be stored. 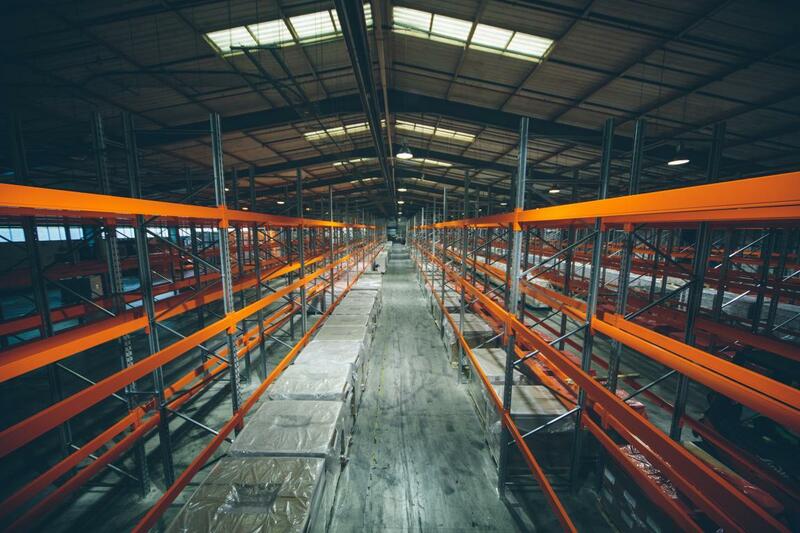 Elevate designed and installed standard adjustable pallet racking to a height of 4 metres at the eaves of the warehouse and 5 metres in the central area where the roof height allowed. The racking had both 900mm deep frames to accommodate standard pallets and 1100mm deep frames to accommodate Euro pallets. All bays were 2700mm long. The client was given a number of beam heights to allow for maximum flexibility. Pallet heights varied from 1200mm high to 1800mm high. The main objective was achieved and 3500 pallets are now comfortably and efficiently stored.